Hosts Rwanda got their African Nations Championship (CHAN) campaign off to a winning start with a 1-0 victory over Ivory Coast. Rwandan defender Emery Bayisenge scored the game's only goal on 15 minutes. Despite that miss, the hosts went on to secure a crucial opening win in front of their home fans in Kigali. The tournament for locally-based players is the biggest sporting event Rwanda has ever hosted. It involves 16 teams playing in three cities - with the capital Kigali, as well as Gisenyi in the west and Butare in the south all hosting games. 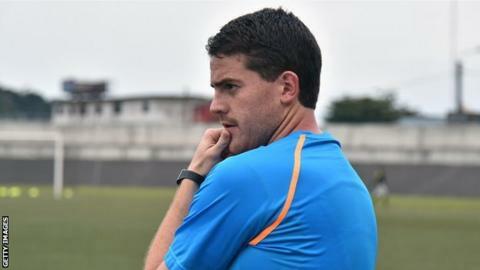 The hosts performed well in the run-up to the tournament and Northern Irish coach Johnny McKinstry will be pleased to see his team carry that form into the finals. The Elephants, meanwhile, are making their third appearance at this tournament and have yet to get beyond the group stage. The Ivorians are the reigning Africa Cup of Nations champions, but that was achieved with a squad that included only one home-based player. Gabon and Morocco drew 0-0 in the day's other Group A game on Saturday.